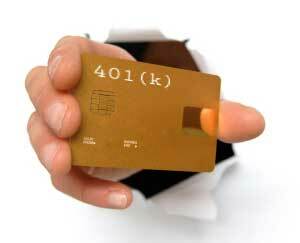 401k is an employer-sponsored retirement plan. It derived its name from subsection 401k of the Internal Revenue Code (Title 26 of the United States Code). With this, employers can help their workers save for retirement and reduce taxable income as well. Employees can choose to contribute some of their earnings to 401k and these are often matched by the employers. Account holders will not pay income tax on the amount that they contributed to 401k as well as the interest earned within the account before it is withdrawn. Employees have the right to choose on what investment (look for the best 401k investment) their savings would be placed but a 401k plan is typically administered by their employers. A 401k plan is sometimes, if not often times, a strategy of employers to keep their best employees and maintain a competitive work environment. As time goes by, your 401k funds increases and there are times as well that we need money for emergencies. Borrowing from 401k is possible. Have a word with your 401k plan administrator. These personnel are usually from the Human Resource Department or Payroll Department of your company. They may handle it themselves or refer you to an external person who handles 401k transactions. With the qualified person to talk to about your 401k plan, ask about the rules. Most plans allow you to borrow usually up to 50% of your principal. Most importantly, never forget to ask about the repayment rules and do take note about it. You should have a budget plan that would help you pay back your loans. Standard repayment period is 5 years but for certain situations a 401k hardship withdrawal extension can be arranged. Read the fine print. With it you can determine the minimum amount requirement for a 401k loan. This is done by 401k providers for them to determine the level of hardship of the loan. There is also maximum number of loans that you can do with your 401k. You need to determine how many times you can borrow from your plan so that you will know how much money you should take out for each transaction. To prevent penalties and income taxes, assess the definition of hardship according to your employer, 401k provider, and according to the federal government. These are usually unemployment, college tuition payments, or major health issues. These will serve as your guidelines in writing hardship letters. Last, but not least, maintain steady employment. It is easier to repay what you owe when you are still employed with the company that administered your 401k. In the case that you would be leaving your current employer and you have a 401k plan with them, you have several options on what to do with your 401k. You can just leave it with your previous employer, roll it over to your new employer’s 401k plan, roll it over to an IRA, or cash it out. Among the four, cashing out 401k is not advisable to the least. Although you can still get a considerable amount of money out of your 401k, but this will greatly be reduced because of the 30%-40% tax and 10% penalty. Knowing that, doing this should be your last resort.